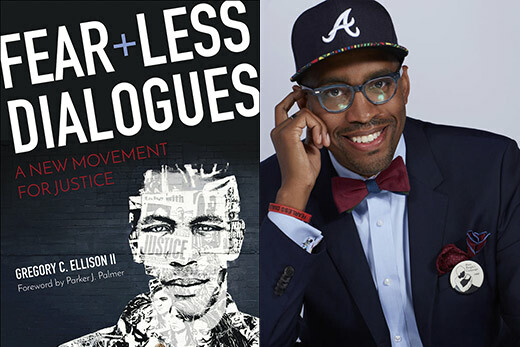 Emory’s Gregory Ellison will speak at a public event at the Atlanta History Center to launch his new book, “Fearless Dialogues: A New Movement for Justice,” on Thursday, Jan. 11. Tickets are $10 and available on the Atlanta History Center’s website. The event will open at 7 p.m. with a reception featuring music, food and the artists involved in helping facilitate Fearless Dialogues, a grassroots organization working to create unique spaces for unlikely partners to engage in hard, heartfelt conversations. Ellison will speak at 8 p.m., offering strategies to overcome the five fears that stifle hard conversation. Ellison, who is associate professor of pastoral care and counseling at Emory’s Candler School of Theology, is a product of Atlanta Public Schools, alumnus of Frederick Douglass High School and the first black male inducted into the Emory College Hall of Fame. He received his undergraduate degree from Emory, and holds MDiv and PhD degrees in pastoral theology from Princeton Theological Seminary.